BECAUSE OF THE HURRICANE WEATHER IN THIS AREA, THIS STOMP HAS BEEN RESCHEDULED FOR SEPTEMBER 29, 2018. 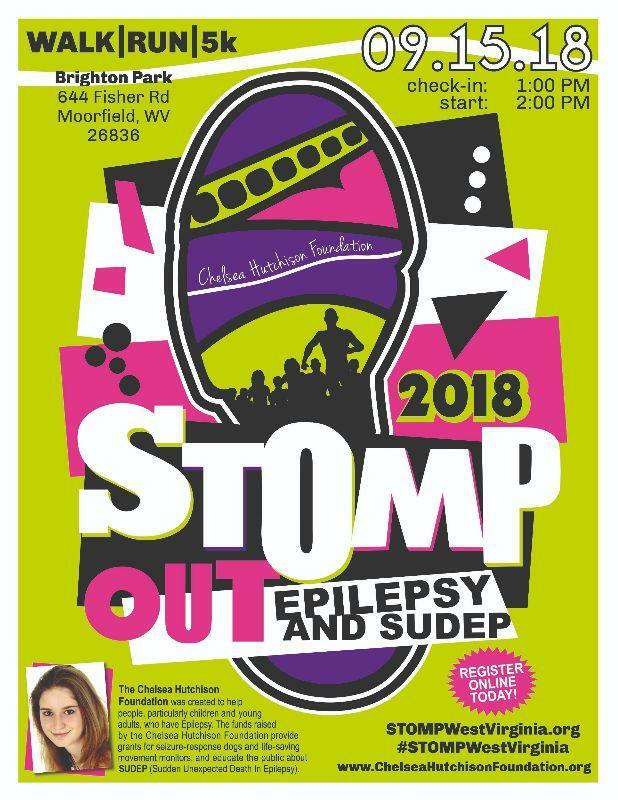 Join us at Brighton Park in Moorfield to STOMP Out Epilepsy and SUDEP at an Awareness Walk/Run. 1:00 PM Check-in and Walk-up Registration begins 2:00 PM Walk/Run begins *Entertainment, drawings, food and festivities immediately afterwards.